Aleksandra's Note: The following is a letter written in April of 1916 by Aleksandar Jovanovic, a Serbian patriot who, as a young man, participated in the First World War, endured the great Serbian Retreat of late 1915, and lived to tell about it. The letter is posted in both the Serbian language and in its English translation. The letter and the personal photos have been provided by his son, John Yovanovitch. 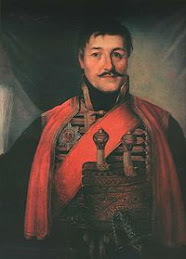 "Aleksandar Jovanovic participated in the Retreat of the Serbian Army from Belgrade, Serbia to Drac, Albania. From Drac, allied ships transferred the soldiers to Ajaccio, Corsica via Corfu. He barely turned 19 in Ajaccio and after recuperating was transferred to England. In London he completed Pharmacy School. 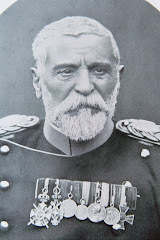 Around 1920 he returned home to Belgrade and what was by that time, Yugoslavia. He joined his brother, Dimitrije, in the pharmacy business. third from left. 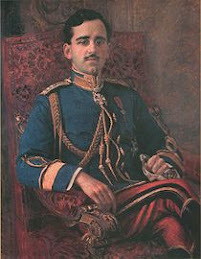 His brother Dimitrije is seated to his right. "In 1941, under a general mobilization, he was called into service to fight the Germans one more time. This time there was another retreat. He was captured in Sarajevo and spent the entire 4 years of the war as a P.O.W. in Germany. In 1949 he was able to emigrate to the U.S.A. In 1955 he managed to bring my mother and me out of communist Yugoslavia. We reunited in New York City after 14 years of separation. "Dad died in 1970 and Mom died in 2009." My sincere thanks to John Yovanovitch for sharing his father's story. Serbs have so many great true stories to tell. If you have a story about a family member or a friend that you know about or know personally who participated in living history, please let me know. 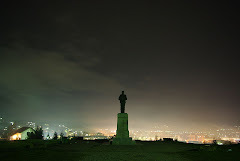 Serbs have so much to be proud of and it is up to posterity to keep the legacy alive. Corsica is an island in the Mediterranean Sea, west of Italy and southeast of the mainland of France. Designated as a "territorial collectivity", it is one of the 26 "Regions" of France. The Ligurian Sea separates Corsica from the French continental mainland. Ajaccio is the capital of Corsica and the birthplace and ancestral home of Napoleon Bonaparte. Smederevo, located on the right bank of the Danube River, is a city and municipality in Serbia. Its distance from Belgrade, the capital of Serbia, is about 40 km (about 25 miles) downstream. The dates below reflect the "old" Julian Calendar, which runs 13 days "earlier" than the corresponding "modern" dates under the Gregorian calendar. Thus, the German attack on Belgrade referenced below as taking place on September 23, 1915, took place on October 6, 1915 by the "new" calendar. Thank God I am better and I feel well. I wish that God may grant the same to you. I received your respected letter dated February 29, 1916, for which I thank you very much. I agree with everything that you say because it is correct that the situation in Belgrade is not the same as it was once. I thank you and Keka in advance for the suit and underwear. You would do me a great favor if you were to send it via regular mail. You wonder that I did not eat bread. Ask whoever you wish if any soldier saw bread from Prelopac to Kursumlija and how much he had to pay for a potato. Let me, briefly, tell you my story from Smederevo to Drac (Albania). You know that I joined the First Civil Battery (National Guard) under the command of Mr. Alexander Srb, Major. We were in the village of Udovice, which is along the Danube River, to the left of and ¾ of an hour from Smederevo. As early as 1911, before I was 15 years old, I completed artillery training and was recommended for corporal. Of course, at my request Commandant Mr. Srb assigned me to the forward observation post which was on the very edge of the Danube. 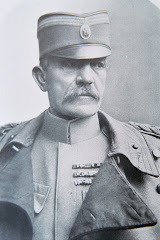 September 23, 1915, we heard lots of action near Belgrade and so we knew that the same will befall us tomorrow. And so it was. September 24, 1915, around five o’clock in the morning, the Germans started the bombardment of the borough and town of Smederevo. They were using heavy artillery of the caliber 30 cm, 211 cm, 15 cm and simple field cannons. First grenades from heavy German artillery fell right on the headquarters where my commander was. Luckily, he was spared and immediately went to his position. 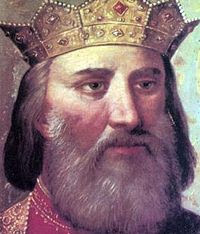 Right away he ordered that we open fire on the towns of Plocuc, Brestakik, and Kovin. We did and within three to four hours the towns were in flames. We used armor piercing and incinerating shells. Since the enemy saw that we were using heavy artillery, they started to aim exclusively at our battery. The fire came at us as if from hell. In 24 hours they fired 6000 rounds. Luckily they could not find us. We were well camouflaged. During all this time I was at my dangerous post. I was the observer in the forward observation post. That was what the enemy was mostly aiming at. September 25, 1915, after lunch I went to the observation station. No sooner that I picked up the binoculars when a large caliber grenade hit about 20 meters down-hill form the observation post. The explosion was so strong that the cement walls and horizontal supports cracked and broke the telephone line. Immediately I thought that the second or third shell has to hit a bit higher. And so it was. I barely got out of the observation post, about 30 meters, when two large grenades hit the post. The structure was destroyed and my sergeant, Mr. Milic, and I were buried up to our chests. Down at the battery (by the cannons) they knew that things were not well because we were not reporting. Soldiers ran to our aid, pulled us out of the rubble and took us to the battery while others took our places. As a result I was promoted to corporal and was recommended for a gold medal for bravery. The Battle continued until the morning of September 27, 1915. A huge number of enemy soldiers started crossing the Danube River. The third lieutenant in command could not hold his position and they all gave up and ran. Because of that we were almost captured and the whole artillery had to retreat. That night (September 27, 1915) we stood down and started to retreat in the tremendous rain toward Kolare. Near the village of Lunjevdo we dug in and fought for 3 days. 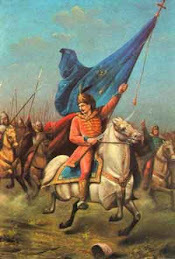 From there we retreated toward Palanka while fighting all the way. In Kragujevac we fought for 2 days. Then on to Bagrdan. After that we moved to Kursumlija. In Preponac was the last of the battles. It lasted 7 days. 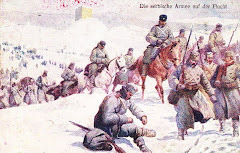 We ran out of ammunition and in the horrible cold and snow started toward Pristina. From there we headed to Djakovica and Pec. In Pec I heard from my sergeant that he saw Mita (brother Dimitrije). Mita said that he will continue to Podgorica. According to the sergeant, all that was before reaching Podgorica, and Mita looked good. I was hoping but was not able to find Mita. On the way through the Prokletija Mountains, just before descending, I saw Uncle Chedo Trifunovic with his aide. He was riding a horse. I ran after him and we greeted each other warmly. After about 5 minutes he was concerned that I may get lost. He asked me to meet him in Berane. Unfortunately, we did not see each other there. In Pec we destroyed the cannons. From there we continued, with cattle only, across the most rugged “karst” terrain. We suffered tremendously. There was no bread. There was nothing. Only every now and then a local Aranut would bring out some loaves of corn bread – horrible stuff – bitter and dry. He would sell it for 20 Dinars in jingling silver. And I had no money. I was hungry, miserable, poorly dressed. I walked in the snow and cried from exhaustion and pain. Then, when I reached the first campfire I opened my bag and took out my raw meat ration and, without salt, roasted it over the embers. And so I pacified my innards. We suffered like that until Podgorica. 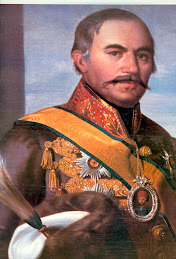 There we obtained some corn from the Montenegrins and that satisfied us a little. From there we crossed Lake Skadar and arrived in the town of Skadar. There we recuperated a little with the fish that we caught by detonating hand grenades in the lake. We were in Skadar for 17 days. There, my good commander, Mr. Srb, set up an officer’s mess hall for his division in a local hotel. He saw me during the first few days in Skadar and told me to come and eat at his mess hall. 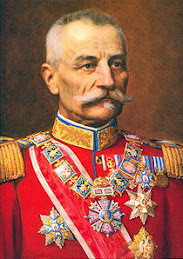 Mr. Srb liked me a lot because I was the youngest soldier in his command. And so I ate with him and all other officers. One evening, we were at the table when Vilada and Dragi Strinin showed up. Mr. Srb invited them to stay for dinner. Vlada excused himself but Dragi stayed. The following day we departed for Drac across barren and bleak Albania. The march to Drac lasted 10 days. Rain poured heavily for most of the transit. We had to march through knee-deep water. In the evening, when it was time to dry off, we could not find any wood. Finding some straw to make bedding was impossible. Again, I cried like a small child and shivered from the cold. When we almost reached Drac I got sick from typhus and could not walk any further toward Valona. In Drac I boarded a ship and was transferred to Krf (the Island of Corfu). In Drac major Keckic and major Srb told me that Cedo Trifunovic was badly wounded. 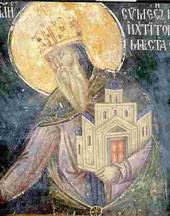 Vlada Dusmanovic confirmed the same on the Island of Corfu and that Cedo remained in Skadar because he could not get on the ship “San Giovani.” Even though I was not sure, I believed that to be true. No one could tell me anything about Mita, who knows what happened with him!! Before Podgorica I saw Anastas Hristodulo. Through Montenegro our brother Montenegrins, the robbers, charged us half a Dinar (50 para or cents) in silver. The same for an ear of corn. And they did not profit from our money because they suffered worse than we did. From Les to Drac we could not obtain bread. We ate half cooked meat without salt. That made us sick from dysentery and typhus. In Drac I improved a little and boarded a ship to Corfu. I could tell you more in greater detail but I have no more paper. Every soldier who crossed Albania is not a soldier. He is a live cadaver. 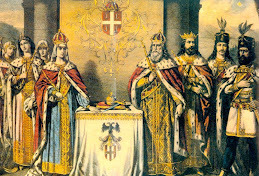 We Serbs, what do we hope for, what about Greater Serbia? On Corfu 80-100 soldiers died daily. Most were victims of starvation. My commander and other soldiers were incredulous that I endured while so many grown, large men died and I did not. I anticipate your respected reply. Hvala Bogu bolje mi je i dobro se osecam. Isto i Vama od Boga zelim. Primio sam Vase stovano pismo od 29.II.1916. i na njemu Vam hvala veliko, na kome Vam sve odobravam da ste u pravu, jer tacno da nije ono stanje, koje je nekad u Beogradu bilo. Zahvaljujem Vami i Keki unapred, za odelo i ves, jer bi mi ucinili grdnu dobrotu kad bi mi preko poste poslali. Cudite se kako nisam jeo hleba, pitajte bar koga hocete dali je koji vojnik video leba od Prepolca – Kursumlje i koliko je placao za jedan krompir. Evo da Vam ispricam moju istoriju ukratko od Smedereva do Draca. Vi znate da sam stupio u Prvu Gradjansku Bateriju pod komandom Gospodina Aleksandra Srba Majora, levo od Smedereva u selu Udovice, udaljeno od Smedereva ¾ casa pored Dunava. Za nepuni 15 godina ja sam zavrsio obuku topovsku, i predlozen za kaplara, i postavlen za nisandjiju, naravno mojim zahtevom od Komandanta Gosp. Srba. Dvadeset dana u selu mirno smo provodili dane i stalno kopajuci rovove, hodnike koji vode od naseg stana iz sela do topova, i od topova do motrilje, koja je bila na samoj ivici Dunava. 23.IX.1915. cula se jaka borba kod Beograda, i tako smo znali da ce sutra isto snaci nas, i zaista tako i bi. 24.IX.1915. oko pet casova izjutra poceli su Nemci bombardovati varos i grad Smederevo teskim topovima, kalibra 30 ½ cm, 21 cm, 15 cm i obicnim poljskim topovima. Prva zrna iz teskih Nemackih topova pala su u samom stabu gde je bio moj komandant – on se srecom spase , i odmah dodje na polozaj i naredi nam da odmah otvorimo vatru na susednu varos Plocuc, Brestakik, i Kovin. Odmah smo otvorili i za nepunih 3-4 casa bile su varosi zapaljene, od nasih novih pancernih i fugastih granata; posto je neprijatelj video da i mi bijemo is tezih orudja poceo je izkljucevno nas tuci, i to paklenom vartom koji je za 24 casa izbacio preko 6.000 zrna na nasu bateriju, ali srecom nije nas mogao pronaci jer smo bili odlicno maskirani, za to vreme bio sam uvek, na naj rizicnijim mestima. Na samom Dunavu osmatrac u osmatracnici koje je neprijatelj narocito najvise gadjao. 25.IX.1915. posle rucka dodjem u motrilju, i taman uzeh durbin jedna granata teskog kalibra udari ispod same motrilje, na 20 metara tako silno das u svi zidovi od betona i tregeri poprskali i telefonsku vezu prekinuli, odmah sam pomislio da drugi ili treci metak mora malo vise udariti, i tako i bi i tek sto sam izmakao da izadjem na 30 metara nisam izmakao dvije razorne granate udare posred motrilje i svu je uniste te i mene i moga vodnika Gosp. 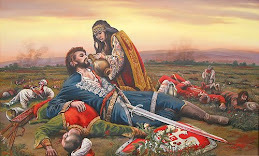 Milica sasvim do pola zatrpa. Odmah su znali kod topova da nije dobro, posto im nista ne javljamo to dotrce vojnici i izvuku nas iz rupcaga i odvedu kod topova, te nas drugi zamenu. Tu sam bio dobio za kaplara i predlozen zlatnom medaljom za hrabrost. 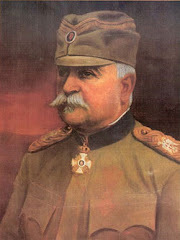 Borba se i dalje vodi sve do 27.IX.1915. iz jutra. Neprijatelj je poceo prelaziti na Godomin u strasnoj masi vojnika. Treci porucnik koji je bio nije ih mogao zadrzati i rezbegnu se kud koji, stoga se morala povuci i sva artileria jer umalo ne zarobise nas tu. Nocu 27mog odstupimo pod najvecoj kisi za Kolare i kod sela Lunjevda utvrdimo se, i vodimo borbu 3 dana. Odatle odstupimo na Palanku sa borbom, pa na Kragujevac, pa Bagrdan, pa onda kod Kragijevca dva dana vodili smo borbu, i odatle na Kursumliju, i za Preponac tu je bilo poslednje borbe koje su trajale 7 dana, i utrosili svu municiju, onda se krenemo po najvecoj zimi i snegu za Pristinu, odatle za Djakovicu i Pec. U Peci cujem od mog narednika da je video Mitu nasega i rece mu, da ce produziti za Podgoricu, takodje ga je video ispred Pogorice na putu i kaze da je dobro izgledao. Ja sam zeleo da se nadjem, ali nikako nisam ga mogao naci. Na putu kroz planinu Prokletiju pri spustanju sa iste spazim Uika Cedu Trifunovica sam sa svojim adjutantom jasi na konju, pritrcim mu i toplo se sa njime pozdravim, ali nisam s njim ni 5 minuta bio da nebi zaluto on mi rece da se nadjem u Bereane, ali ga tu ne nadjem, i tako odatle nisam se nikako video. U Peci smo saranili topove, i odatle preko strahovitog krsa krenemo se samo sa stokom. U putu smo se mucili, hleba nema, nema nicega, samo po gde gde po koji Arnautin iznesa po koju proju gorku kao cemer i proda je za 20 Dinara u srebru zvececem, para nemam, gladan, bedan, ne odeven, idem po snegu i placem od lipsanih bolova, te kod prve vatre izvadim iz torbe malo mesa te neosoljeno onako malo izpecem, i ublazim utrobu svoju. Tako smo se mucili do Podgorice. Tu malo dobismo kukuruza od Crnogoraca te se tako malo zadovoljismo, odmah produzimo za Skadar, tu preko jezera prebacimo se u Skadar, i tu se malo oporavismo, imajuci kod sebe dosta bombi te smo tako tukli ribe po jezeru i hranili se. U Skadru smo bili 17 dana i tu moj dobri komandant Gosp. Srb osnuje u jednom hotelu menazu za oficire njegovog diviziona i tako vide me u Skadru prvih dana i rece mi da dodjem kod njega on ce me hraniti tamo i tako ja kao naj mladji njegov vojnik on me je veoma voleo i sa njime i ostalim oficirima ranio. Jedno vece sedimo kad od jednom upadose kod nas Vlada i Dragi, Strinin, Gosp. Srb ih zadrzavao na veceru, Vlada ne htede a Dragi ostade da vecera i sutra se krenusmo na put kroz pustu Albaniju za Drac. Od Skadra bejase dobar put do Ljesa. Od istog do Draca za 10 dana kisa je strasno pala, gazeci stalno vodu preko kolena, a uvece kad treba se osusiti nigde drvceta, nigde slame da metnes ispod sebe, opet moras plakati kao dete malo i od zime drhtati. Kad stigoh ispred Draca tu se razboleh od tifusa i nisam mogao ici peske za Valonu nego se ukrcam u Drac i odatle za Krf. U dracu sam cuo od Majora Keckica i od Majora Srba i Vlada Dusmanica na Krfu da je Ceda Trifunovic ostao tesko ranjen u Skadru, posto nisu mogli u San Djovani ukrcati ja sam verovao ali ipak neznam dali je tacno. 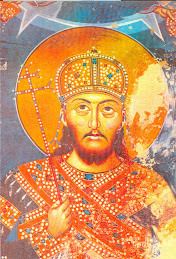 Za Mitu koga god sam pitao niko mi nista nije mogao reci koj zna sta je sa njime bilo!!! Anastasa Hristodula video sam u pred Podgoricom. Kroz Crnu Goru nasi braca Crnogorci pljackasi jedan krompir kuvan naplacivali su 0.50 p.d. (para dinarskih) u srebru, takodjer i klip kukuruza, i oni se nisu od nasih para koristili jer su gore stradali nego i mi. Od Lesa do Draca opet nigda leba vecem samo meso polu zivo neosoljeno smo jeli, od cega se razbolim i dobijem dizinteriju i tifus, tu ga malo prebolem i ukrcam se za Krf. Mogao bi Vam mnogo opsirnije pricati ali nemam vise artije. Svaki onaj vojnik koji je prosao Albaniju nije vojnik nego Zivi Mrtvac i cemu se mi Srbi nadamo o kojoj vellikoj Srbiji? Na Krfu je umaralo dnevno po 80-100 vojnika koji su samo od glada osusili. Meni se moj komandant cudi i drugi vojnici kako sam izdrzao, kada onoliko razvijenih ljudi i kolosi umirali a ja ne. Both color photos are modern day Ajaccio, Corsica from "above"